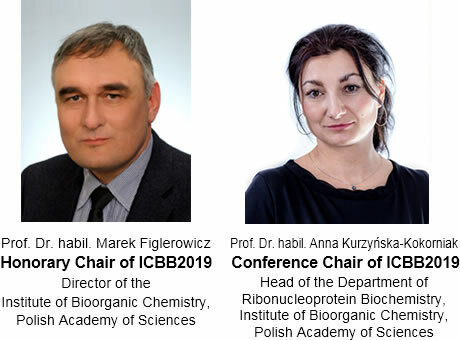 On behalf of the Organizing Committee, it is our great pleasure to welcome you to participate in the 2019 International Conference on Biotechnology and Bioengineering (9th ICBB, 2019) to be held in Poznan, Poland at on September 25-28, 2019. 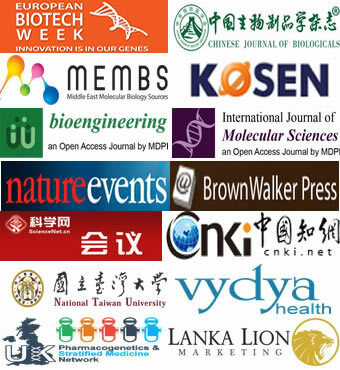 ICBB2019 is co-organized by Asia-Pacific Association of Science, Engineering and Technology, Institute of Bioorganic Chemistry Polish Academy of Sciences, Adam Mickiewicz University, and Chinese Journal of Biologicals, in collaboration with multiple academic affiliations. ICBB2019 aims to provide an innovative and comprehensive overview of BIOTECHNOLOGY and BIOENGINEERING, a focus will be given to major research advances including: 1. Microbiology, virology, cytology and immunology; 2. Biological macromolecules, proteins and nucleic acids; 3. Biomaterials, biopolymers and bioenergy; 4. Biomedicine, biopharmaceuticals, pharmacology and toxicology; 5. Agricultural & food science and industrial biotechnology; 6. Applications in bioengineering, biomedical engineering & technology and other related fields. For more details please visit Conference Themes. Abstract Submission deadline will be on July. 31, 2019. All accepted abstracts will be published in conference abstract book. (details). The full conference days will last for two days from September 26 to 27, 2019. We also arrange academic visit after conference. For more details please visit Program at a Glance. Please help to bring this notice to the attention of your colleagues and students who may be interested in ICBB2019 (Download ICBB2019 flyer), also you can subscribe to ICBB2019 mail list to be informed, thank you very much. We hope that you will have a fruitful experience and enjoy the wonderful atmosphere during your stay in Poznan! Looking forward to seeing you at this significant event.